There’s a dis­tinct dif­fer­ence between a test dri­ve and train­ing. Imag­ine walk­ing out of the deal­er­ship with keys for a new car you’re con­sid­er­ing buy­ing. You climb in, adjust the seat and mir­rors, fid­dle with a few of the knobs and then take the car out. It’s not your car yet — you haven’t made a com­mit­ment to own­er­ship — but you want to know if this car is right for you. So you put it through its paces. Free­way, city dri­ving, coun­try roads. You slam the brakes to see how it responds — you turn more aggres­sive­ly than nor­mal to see the car’s respon­se under stress. Ulti­mate­ly, in a test dri­ve, you want to prove the car responds well in tough sit­u­a­tions so you can be con­fi­dent when you face those in the real world. Train­ing is dif­fer­ent. If you’re train­ing for a marathon, you plot a course and start small. You build endurance and skills, research­ing, learn­ing and improv­ing along the way. The process is gru­el­ing and tough, and ded­i­cat­ed train­ers might have a coach who push­es them even hard­er. Inter­est­ing­ly, many marathon train­ing sched­ules nev­er actu­al­ly push you to run the whole marathon length until the very day of the race. The log­ic is sim­ple: if you use all your ener­gy to run the full length before the race, your body will be too tired to make it as effi­cient­ly as pos­si­ble dur­ing the race. Rather than expe­ri­enc­ing the whole ordeal, you’re train­ing your body to endure and suc­ceed under increas­ing­ly dif­fi­cult sit­u­a­tions. Par­ents, our children’s years in our home should be much more like train­ing for the marathon of life than like a test dri­ve adult­hood. Vaca­tion Bible School is offi­cial­ly under­way at our church, and I’m thrilled by the ener­gy, kids and vol­un­teers serv­ing this year. It’s amaz­ing to know the gospel of Jesus is touch­ing hun­dred of kid’s lives through this inten­sive, inten­tion­al week. One of the major changes to this year’s pro­gram is the addi­tion of a prayer team — ded­i­cat­ed fol­low­ers of Jesus who are show­ing up each day dur­ing VBS to be inten­tion­al­ly pray­ing through needs, con­cerns and issues. They’re through­out the build­ing, bathing the vol­un­teers, kids, fam­i­lies and facil­i­ties in prayer. We want God to move in the­se places, so it’s good to start by ask­ing for it! I am so thank­ful for their ded­i­ca­tion and sup­port. The addi­tion of a prayer team, into some­thing like VBS, just makes sense. Any min­istry endeav­or should be cov­ered in prayer, but in an inten­tion­al, inten­sive week-long gospel-fies­ta like VBS, it seems espe­cial­ly impor­tant to provide as much prayer sup­port as pos­si­ble. Have you put togeth­er a team of friends and fam­i­ly mem­bers who can be active­ly pray­ing alongside you through your par­ent­ing jour­ney? But what about the inten­tion­al, inten­sive life-long gospel fies­ta called par­ent­ing? Said more blunt­ly: have you put togeth­er a team of friends and fam­i­ly mem­bers who can be active­ly pray­ing alongside you through your par­ent­ing jour­ney? Do you have an reg­u­lar process to pass off inten­tion­al par­ent­ing prayer requests? And are you inten­tion­al­ly pray­ing for your par­ent­ing friends and their jour­neys? Dis­claimer: I do not, I do not, and I am not. At least, not in the fullest clar­i­ty of those three ques­tions. VBS is pow­er­ful and inten­tion­al, but it’s far less piv­otal than par­ent­ing. It’s far less intense. It’s far less com­pli­cat­ed! Rain dur­ing VBS might force plan changes, but par­ent­ing trou­bles can force life changes. Shouldn’t we be far more inten­tion­al in find­ing a prayer team for our par­ent­ing than our pro­grams? When I was a young boy, my mom — who stayed at home — pulled in a few of her lady-friends and start­ed pray­ing for their kids. They met togeth­er often and reg­u­lar­ly, shar­ing real requests and bathing those sit­u­a­tions in prayer. Their kids are now grown, mar­ried and hav­ing kids of their own; those moms con­tin­ue to meet togeth­er in prayer. That lega­cy of prayer­ful sup­port and reliance is pow­er­ful and one to be imi­tat­ed. As I reflect on what this might look like in my own life, here are the steps that I think should be tak­en. In pub­lish­ing this, I’m pub­licly chal­leng­ing myself to take the­se steps — and pub­licly chal­leng­ing you to as well. Iden­ti­fy 3–6 friends or cou­ples you know, trust and with whom you’re will­ing to be vul­ner­a­ble. It seems help­ful, though not essen­tial, for them to be at a sim­i­lar life stage. Ask them about cre­at­ing a prayer team togeth­er, focused specif­i­cal­ly on pray­ing for your kids (and theirs, if they have kids). I think this is impor­tant, and over­looked. ‘Indef­i­nite’ is code word for, “soon to fail.” My mom’s lega­cy is impres­sive, but I think prob­a­bly rare. She is excep­tion­al, after all. Many ini­tia­tives with clear time frames can become extend­ed due to suc­cess. How will you share prayer requests? How will you com­mu­ni­cate? What works best for one anoth­er? It seems to me that Face­book is an ide­al medi­um for this sort of thing: a pri­vate group would be just the thing for shar­ing requests. But may­be every­one doesn’t have Face­book, and tex­ting is bet­ter. Or email (what is this, 1998?). Or even Snapchat. What fits best into your rhythm and pat­tern to share and receive requests? Final­ly, make it offi­cial by set­ting a reg­u­lar day and time to get togeth­er and pray. Yes, I know. This com­pli­cates it. This makes it hard­er. A prayer team, or a sym­pa­thy team. This is where you decide if you want it to be real. It strikes me that this is prob­a­bly one of the most inten­tion­al and impor­tant things par­ents can and should do. But my hunch is that it’s also fair­ly rare. So, let me know: do you have a team? Are you going to find one? And what about me? In a mon­th, will I have one? It’s a valid ques­tion. The prece­dent and expec­ta­tions feel fair­ly immove­able, and yet a week-long shirt marathon (espe­cial­ly given the absolute phys­i­cal rig­ors of VBS) appears logis­ti­cal­ly impos­si­ble. Most VBS shirts are pre­dom­i­nant­ly a solid pri­ma­ry col­or. Con­sid­er find­ing four oth­er shirts and spray-paint­ing them the same col­or. For added real­ism, use a sharpie to draw on the logo and accom­pa­ny­ing text. Yup, this is exact­ly the way to not do it. Unless you’re try­ing to make VBS shirt hula hoops. In which case I would refer you to resub­mit your back­ground check appli­ca­tion. Your VBS shirt can sim­ply be divid­ed into five dif­fer­ent wear­able sec­tions. Cut it into strips (ver­ti­cal­ly — hor­i­zon­tal won’t… stay on) and just wear a dif­fer­ent strip each day. This is neat, because each day feels new (and a lit­tle risqué). Wednes­day — or “Neck-Hole Day” as it’s known by vet­er­ans — will be a real treat. If inven­to­ry isn’t tight­ly mon­i­tored, sim­ply claim, “Oh, shoot, I for­got my shirt today! Can I get anoth­er one — to bor­row?” each day. It’s best to time the­se ques­tions for the most fran­tic and unor­ga­nized part of the morn­ing — catch peo­ple off-guard and you’ll be more like­ly to gar­ner a hur­ried assent. Pro: Quick and fair­ly easy. 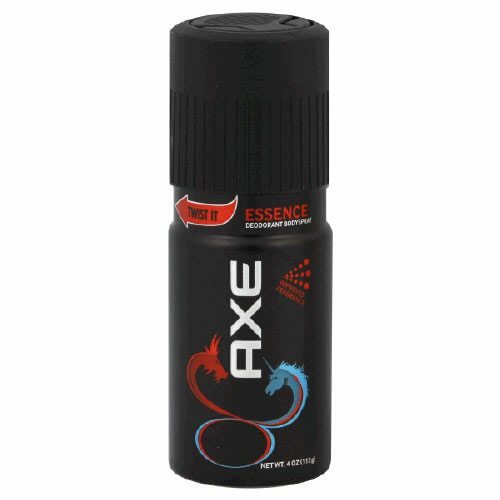 Con: You’re lit­er­al­ly just dous­ing your shirt in Axe. Pro: It’ll smell like you take care of your­self on Tues­day. Con: Every­one knows what’s up by Wednes­day, and you’ll be alone and shunned by Thurs­day. Pro: You’ll feel self-con­fi­dent and hip buy­ing a spray can of Axe from the store. Bring a wash­ing machine and dry­er with you to VBS, and sim­ply set them up in the main foy­er or lob­by of the church. You’ll not only be wear­ing clean shirts each day, but you’ll also be the one vol­un­teer every­one else wants to know — you have the hook up. Of course, if you ARE blind… I don’t know if it makes this excuse more or less valid. Wear dark sun­glass­es and car­ry a long stick or pole. If peo­ple assume you’re blind, they’ll be much less like­ly to call you out for not wear­ing VBS Plan­ning Com­mit­tee Approved Appar­el. Beware the Con­for­mi­ty Police, how­ev­er. Blind­ness has nev­er been a valid excuse in their book. Final­ly, you might elect to leave the state. Over­all, this is an ele­gant solu­tion. Not only is it the only solu­tion that results in an impromp­tu vaca­tion, but it also allows you to avoid VBS alto­geth­er. There might be com­pli­ca­tions that arise from this solu­tion, how­ev­er, so con­sid­er all the impli­ca­tions before set­ting out. One of the best options is to sim­ply rotate the­se solu­tions through your years as a VBS lead­er. You’ll nev­er need to strug­gle with the shirt ques­tion again. That Was a Good Prayer, Right Dad? But when you pray, go into your room, close the door and pray to your Father, who is unseen. Then your Father, who sees what is done in secret, will reward you. And when you pray, do not keep on bab­bling like pagans, for they think they will be heard because of their many words. Do not be like them, for your Father knows what you need before you ask him. The point here isn’t that we don’t pray in pub­lic or out loud. It’s not that we only hide in clos­ets or hide that we believe prayer is tru­ly world-defin­ing. Instead, Jesus is push­ing us toward gen­uine and sin­cere prayer, espe­cial­ly in our words and lan­guage. In short, resist using your prayers to impress oth­ers. To hear my 5 year old acknowl­edge that after only a few years in the church, she had already begun pick­ing up on the sub­tle dif­fer­ences between a “good pray-er” and an “awk­ward pray-er;” between the implied pow­er of elo­quence vs. stut­ter­ing or sim­plic­i­ty was, hon­est­ly, a lit­tle scary. What are we teach­ing our youngest about prayer? Not just explic­it­ly, but implic­it­ly, as well? What do we teach them through our prayers — our mod­els — and of course, our words? I’m chal­lenged to move more and more toward gen­uine, sim­ple prayer. Tru­ly, this is one of those top­ics that almost assured­ly has some peo­ple run­ning for cov­er, cow­er­ing in cor­ners, and wav­ing a white flag. It has oth­ers putting on bat­tle armor and hoist­ing the can­nons. In real­i­ty, even with many oth­er hot-top­ic issues in today’s “Chris­tian Argu­ment Tum­bler,” ‘Cre­ation­ism’ is still a ral­ly cry to throw down, put on gloves, and step in the ring. With­out fail. Sec­ond­ly, ‘six lit­er­al days of cre­ation’ has explic­it hermeneu­ti­cal impli­ca­tions, and implic­it the­o­log­i­cal impli­ca­tions. That is to say, how you view the issue of “day,” in regards to the cre­ation of the world in Gen­e­sis 1–2 affects first how you read Scrip­ture, and there­fore only implic­it­ly affects the­ol­o­gy. You can still be a gospel per­son while agree­ing with day-age lit­er­ary read­ings of Gen­e­sis 1–2. But, how you view the cre­ation of man has extreme, explic­it the­o­log­i­cal impli­ca­tions. Man, in Gen­e­sis 2, is cre­at­ed sep­a­rat­ed from cre­ation, and above cre­ation, in the speci­fic image of God, and with God’s breath specif­i­cal­ly in his nos­trils. He is cre­at­ed good — as is the rest of cre­ation. Adam is used through­out Scrip­ture as a typo­log­i­cal rep­re­sen­ta­tion of human­i­ty, and viewed through­out Scrip­ture as a true, real indi­vid­u­al. Adam and Eve are key to the fall, and in no sense, ever, can we jet­ti­son a the­ol­o­gy which holds to the His­tor­i­cal Fall of Man. With­out the Fall, we have no good cre­ation, no sin­less exis­tance, and no per­fec­tion to which we could return. With­out the Fall, God cre­at­ed human­i­ty sin­ful. To what, then, would He redeem us? You can­not be a gospel per­son while deny­ing the speci­fic cre­ation of Adam, Eve, and the his­tor­i­cal real­i­ty of the Fall. Third­ly, we must affirm above all that God is true. We must affirm that God has spo­ken truth­ful­ly, that God desires us to know Him, and that His truth is pre­served and main­tained through­out His rev­e­la­tion. This is not as sim­ple of a top­ic as some might lead us to believe. We hold to a doc­trine of not just ‘speci­fic,’ but also of ‘gen­er­al’ rev­e­la­tion. That is, God didn’t sim­ply reveal him­self through Scrip­ture, but he also reveals him­self through His cre­ation. His fin­ger­prints are through­out the cre­at­ed world, and we can learn of Him by what His hands have made. Car­bon dat­ing, geol­o­gy, and oth­er sci­en­tific stud­ies have show the earth to be bil­lions of years old. The­se sci­ences are not per­fect, and we should nev­er hold the­se sci­ences above God’s speci­fic Word. But, they inves­ti­gate the real­i­ty and con­ti­nu­ity of God’s cre­ation — ie. if what we see to be true in nature today has been true for the entire exis­tence of the world, then their extrap­o­la­tions must be viewed with a cer­tain amount of cred­i­bil­i­ty. We can­not sim­ply ignore sci­en­tific evi­dence because it face­val­ue con­tra­dicts Scrip­ture. Con­verse­ly, we should nev­er twist or dis­tort Scrip­ture because an extra-Scrip­tural source con­tra­dicts it. In the end, we are seek­ing to con­tin­u­al­ly affirm God’s truth­ful­ness in cre­ation, and in the mul­ti­ple accounts of cre­ation. Cre­ation — the act — is itself, in Scrip­ture, a the­o­log­i­cal issue and his­tor­i­cal fact. Ancient Near East­ern stud­ies have shown that the Mediter­ranean cul­tures were nev­er con­cerned with the real­i­ty of orig­in — it’s real­i­ty is quick­ly affirmed by look­ing out­side! No, they were con­cerned with the the­ol­o­gy of orig­in — we are cre­at­ed, but why? It is this ques­tion that I see Gen­e­sis 1–2 answer­ing. Gen­e­sis 1–2 sets the stage for a Cre­ator God cre­at­ing a world which reflect Him­self — His glo­ry and majesty. Gen­e­sis 3 shows cre­ation rebelling. The remain­der of Scrip­ture shows the Cre­ator woo­ing back His cre­ation, through love, dili­gence and ulti­mate­ly, sac­ri­fice. And this is my great fear with the issues sur­round­ing the debate of Gen­e­sis 1–2. In our eager bat­tle to pre­serve the truth­ful­ness of Scrip­ture, we are often ignor­ing or slight­ing the­o­log­i­cal real­i­ties in order to pro­mote his­tor­i­cal real­i­ties. The bat­tle for a six-day cre­ation is a bat­tle for a con­ser­v­a­tive, evan­gel­i­cal read­ing of Gen­e­sis 1–2 — very lit­tle more! How many dis­cus­sions of cre­ation have begun, con­tin­ued, and end­ed with­out any men­tion of Christ, grace, or sal­va­tion? When we pro­mote God’s six-day cre­ation apart from human­i­ties’ one-day fall, and Jesus’s three day vic­to­ry, we leave the gospel behind! We as Chris­tians have become eager to dis­cuss cre­ation — but we leave it at that. Per­haps my title is a lit­tle mis­lead­ing. Cre­ation-ism is not solved in this arti­cle. If any­thing, the dichoto­my between the plain words of Scrip­ture — six days — and the plain dis­cov­er­ies of sci­ence — bil­lions of years — are high­light­ed and left to stand bare in the­se para­graphs. But the real­i­ty is that the great­est issue of cre­ation — that it was bro­ken — has been solved: by Christ on the cross. When we allow car­bon-dat­ing, or elab­o­rate the­o­ries of flood, or obscure read­ings of the Word of God to cloud away the clar­i­ty and pre­ci­sion of the gospel, we find our­selves read­ing and preach­ing only two chap­ters of a very, very long sto­ry. A very long sto­ry whose begin­ning, ulti­mate­ly, pales vast­ly in com­par­ison to it’s glo­ri­ous, hope-filled end­ing! So, let us pri­or­i­tize a return to the gospel — to the sto­ry of sal­va­tion — when­ev­er we might begin a dis­cus­sion of Gen­e­sis 1–2; let us pray God’s truth be known, sinner’s souls be saved, and God be glo­ri­fied!